King salmon (Chinook) were introduced into local rivers from the Sacramento River 100 Years ago. The fish we farm today are direct descendants of this original North American stock. Our salmon are raised in the swift, cold currents of New Zealand’s Southern Alps. The water is fresh and flows constantly. In this pure environment, there’s no need to use vaccines, pesticides or antibiotics. 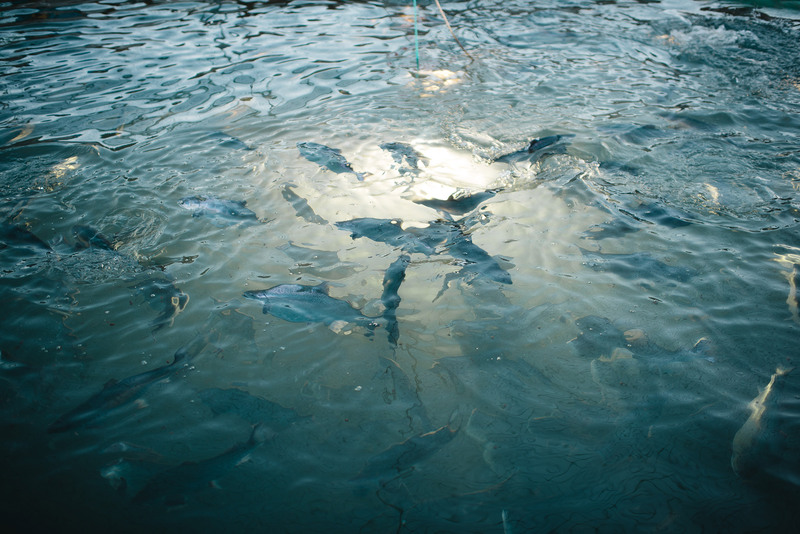 Just skilled staff and good farming practices to perfect the conditions for growing naturally healthy fish. Swimming against constantly flowing ice-cold currents keep our salmon healthy and fit, with fine intra-muscular fat lines. This translates to a subtle, clean taste and delicate texture unlike any other salmon. Freshwater King Salmon can be classed as one of Nature’s Superfoods. Health professionals recommend salmon for multiple of reasons. It helps boost immune systems, is an excellent antioxidant, can assist in reducing blood pressure and the risk of heart disease.